Hoenn is the world for Pokemon Ruby and Sapphire. It has a total of 16 cities and towns, and 33 routes. It has other geographical features such as mountains and caves. 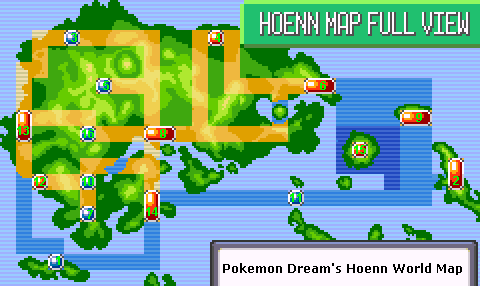 This map shows you what Hoenn looks like, and where the cities are. The cities below are listed in alphabetical order.